Live your life at the top! Two-bedroom condo designed with flair and elegance of the early 1900’s. Sun drenched living room with beautiful built-in shelving opens into the dining area and kitchen. Custom kitchen features breakfast bar, Dover Wood cabinets and double oven perfect for those who love to cook and entertain. Family room with private bathroom is a great space for watching the game or hosting sleepovers. 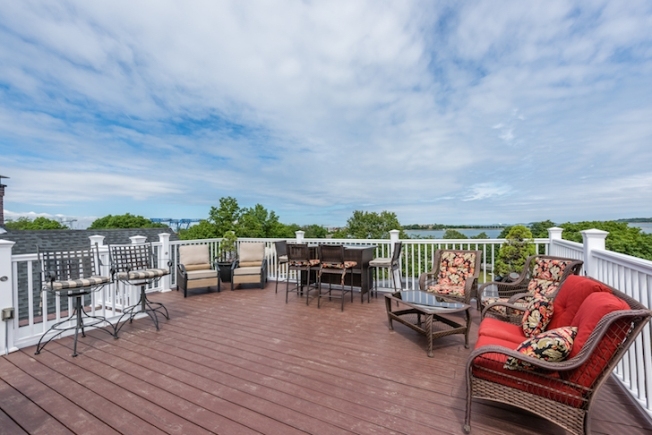 Enjoy your deck off the dining room or spend summer days/nights on your 4th floor private roof deck across from Marine Park. You can experience a never interrupted view of Pleasure Bay and Castle Island. Located just one block away from the T and just one mile from the Financial District, this is a commuter’s dream! You’ll fall in love before you walk through the door. The post On the Market: 61 Farragut Road, Unit 3 appeared first on Caught In Southie.